Bartholomew County Residents are welcome to self-load mulch and/or compost any time throughout the year during Yard Waste hours: Monday-Friday 7:30 am-4:30 pm or Saturday 8:00 am to 3:30 pm at the Columbus/Bartholomew Yard Waste Site. The Yard Waste Site is located adjacent to the Columbus/Bartholomew Recycling Center at 720 S. Mapleton Street. Please call 812.376.2614 for more info. 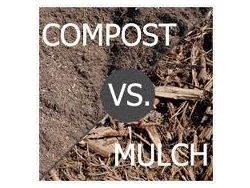 Loading of compost and mulch is available April through October on Friday's only from 2:00-4:30 p.m. with the exception of listed Friday holidays. Stop by the Columbus/Bartholomew Recycling Center office located at 720 S. Mapleton and pay the fee ($10 per scoop) before going to the loading area. Single axle vehicles only. No businesses or contractors please. Senior Loading takes place the last two Wednesdays in March from 8am to 12am. Senior citizens of Bartholomew County are welcome to stop by the Yard Waste site located adjacent to the Columbus/Bartholomew Recycling Center and we will load one pick-up truck with mulch or compost at no cost.